Detection Changing for Women's Heart Disease Doctors are discoverying that heart disease may look much different in women than in men. Plaque formations are smoother, making it difficult for regular angiograms to detect. And women may have more trouble with blockages in the small coronary arteries. But few medical centers are set up with newer tests to diagnose these conditions. 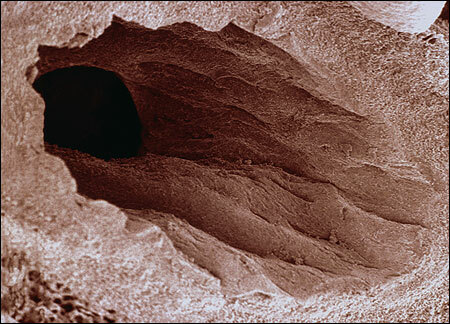 A view inside an artery. Most women who have heart disease have blockages in their major arteries caused by plaque, just like men. But researchers are finding evidence that heart disease in women may look much different than heart disease in men. Diane Asdourian was just 50 years old when she started having symptoms of heart disease. The Los Angeles resident woke up one morning with chest pains, dizziness and pain down her left arm. Alarmed, Asdourian went to a hospital emergency room, where she had a number of tests. Doctors found nothing wrong and sent her home. A year later, she suffered another attack and went to the hospital again. She had an angiogram -- the classic diagnostic tool for blocked arteries -- and doctors again told her there was no problem. "After the angiogram, the resident came in to tell me I could go home," she recalls. Asdourian said she started to cry, telling the doctor she felt worse than when she first arrived at the hospital. She said she couldn't breathe, as if she had an elephant sitting on her chest. Asdourian was confused and frightened, suspecting something was, indeed wrong. Around the same time, Dr. Noel Bairey Merz at Los Angeles' Cedars-Sinai Medical Center was studying 1,000 women who had also complainted of symptoms of heart disease. Bairey Merz was scientific chair of the Women's Ischemia Syndrome Evaluation Study (WISE). The women had the typical signs of a heart attack, such as chest pain or shortness of breath when they exerted themselves?. They performed poorly on stress tests. "They would look for all the world like we needed to take them upstairs for a coronary angiogram," says Bairey Merz, "and do something like angioplasty or even send them even to bypass surgery." And, for men, that would typically be the case. But that was not the result for at least 50 percent of the women in Bairey Merz' study. In fact, when these women had an angiogram, their test came back clear, showing they did not have clogged arteries, and didn't need angioplasty or bypass surgery. Bairy Merz began investigating other possible reasons why these women might be having symptoms like chest pain and dizziness. Meanwhile, worrisome symptoms continued to plague Diane Asdourian. At work about eight months after her second episode, she had chest pains again. "It went all the way down to my arm," Asdourian recalls, "and it just kept getting worse. And usually, when I stood up and moved around, it would go away. Then I could deal with it." But this time, the pain only became worse." Once again, Asdourian went to the hospital. And, once again, hospital tests showed she was OK. Asdourian was flabbergasted. She knew something was wrong. She followed up with her internal medicine doctor after she was discharged from the hospital. Her doctor told her that the cardiologist from the hospital had called and advised that Asdourian see a pain therapist or psychiatrist. "They just couldn't find anything," she says. Asdourian was also beginning to worry that her problems were "all in her head." Fortunately, cardiologist Bairey Merz, along with other WISE trial investigators, was making discoveries. They found that women did have blockages in their major arteries; the blockages just didn't look the same as in men. The plaque was there, but it was spread out smoothly and evenly against the arterial wall. In men, plaque lumps up; an angiogram would show bumps and lumps in the blood flow. A women's angiogram looks smooth. The difference appears to relate to the way men and women store fat. "Women tend to get fat everywhere," says Bairey Merz. "They get fat in their face, upper arms, buttocks, thighs, even ankles…. How do men get fat? In their belly, the classic beer belly." Men, says Bairey Merz, tend to have lean faces, upper arms and calves, while carrying extra weight around the middle. She says basic gender differences in how fat is stored may also explain how plaque is stored in the coronary arteries. Bairey Merz and WISE investigators also found evidence of heart disease in other areas of the coronary system. 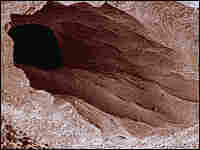 Small arteries, which receive blood from the major arteries, showed signs of disease. Investigators were able to diagnose the problem using an innovative diagnostic test. It's similar to a typical angiogram, but in this procedure, extremely tiny catheters are inserted into the small arteries of the heart. Four different medications are then injected -- each one designed to produce a reaction that will tell doctors how well a woman's small arteries are working and whether they're delivering appropriate amounts of blood and oxygen to the large arteries and, ultimately, to the heart. If the arteries aren't flexible and in good working condition, they won't dilate properly. That means blood flow may be disrupted and insufficient. The condition is called small artery dysfunction, or microvascular cardiac disease. More than half the women in Bairey Merz's study showed that condition. Diane Asdourian has microvascular cardiac disease, and she says the diagnosis pleases her. "When Bairey Merz told me what was wrong, I felt better," she says. "At least I knew there was something wrong." Bairey Merz says there is clear medical therapy for Asdourian's problem. So, for the past four months, Asdourian and Bairey Merz have sought to turn her condition around. Asdourian is now on blood pressure medication and cholesterol-lowering drugs. She takes a baby aspirin once a day and takes a brisk walk every day for an hour and a half. Bairey Merz says the daily exercise regimen is crucial to help heal the arteries that have been damaged. Exercise stimulates cells to make nitric oxide, a natural chemical that helps arteries dilate. She's also seen patients show dramatic improvement... then stop exercising when they go on vacation or get a cold. Bairey Merz says that's "big problem." Then, her patients are right back where they started. "They can't walk again," she says. "We have to start all over again. So, the regimen is just incredibly important." As is diet, of course. That was a particular challenge for Asdourian. "I love French fries," she says. "I can't have French fries anymore. I've totally cut out salt, and I was a tremendous salt eater." With changes in diet, lifestyle and medication, Bairey Merz says arteries can be retrained and small artery disease turned around. When that happens, symptoms diminish. That's already happened for Asdourian, who couldn't be more grateful that she found her way to Bairey Merz. "I think without her the big one would have come. I really do think without her I would have had a heart attack," Asdourian says. As many as 3 million women in the United States may suffer from small artery dysfunction. Unfortunately, many doctors are not yet attuned to the problem. Around the country, women are still being sent home and told everything is OK, despite recurring symptoms. As for the innovative new tests that can help diagnose the condition, they're available in relatively few places: Cedars-Sinai Medical Center and other major hospitals in major cities. Graphic: What Happens During a Heart Attack?